A natural gas company in Kansas contracted TMI Coatings to repair cracks and line the interior of a concrete containment dike. The containment dike was 55’ long x 20’ wide including up the walls 3’. 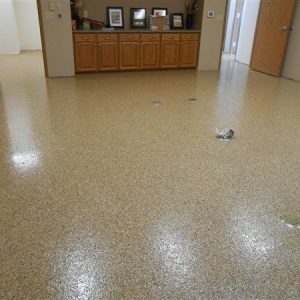 TMI mechanically abraded the walls and floor by shotblasting and grinding with hand-held grinders. 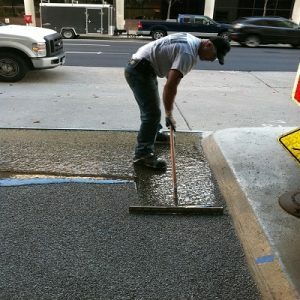 TMI then primed the entire area with a primer recommended by the manufacturer prior to the application of the pliable/rubberized lining material. After priming we then top coated the entire containment area, floor and walls, with a urethane elastomer which expands and contracts therefore will not crack, chip or peel due to temperature changes. 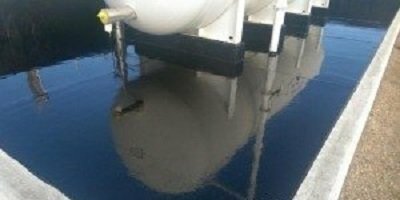 The customer was concerned regarding cracks prior to application therefore TMI paid special attention by installing a urethane sealant in the cracked areas for a thorough seal. The site contact stated that TMI did a great job on this project; the crew was very efficient and worked safely. 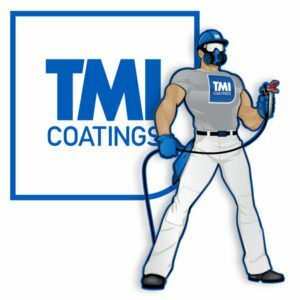 TMI Coatings contributes to making the world a better place by handsomely restoring America’s infrastructure.